The 1970s is characterised as a period of change in Indian film music. Although popular music continued to be created by the innovative compositions of Laxmikant Pyarellal, Kalyanji Anandji, R.D. Burman, yet the classical flavour of Hindustani music started losing predominance during that time. There were few reasons for the change. Firstly the neo-realistic film movement by Satyajit Ray (1), Ritwik Ghatak (2), Tapan Sinha (3), Rajen Tarapdar (4), had inspired filmmakers like Shyam Benegal, Govind Nahalani to make realistic films in the 70s. Shyam Benegal started his journey with the film Ankur, 1974, where he gave the biggest break to Shabana Azmi, one of the most powerful actress of Indian cinema. Govind Nahalani made Akrosh, where he brought out one of the most daunting performance of Om Puri in a mute role. These films depicted the lives of the rural Indian folk with powerful story telling and theme music. 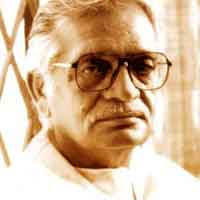 At the same time Directors like Basu Chatterji made Chitchor, 1974, Hrishikesh Mukherjee made Milli, 1975, Golmaal, 1979, where the stories were picturised on the lives of middle class Indians. In the same era, corruption became rampant in the Governmental and non-governmental sector, thereby invoking the Directors to make anti-establishment films. Ramesh Sippy came up with Sholay, 1975, Prakash Mehra made Zanjeer, 1973, Yash chopra made Deewar, 1975 where Amitabh Bacchan played the roles of the angry young man who had raised his voice against the anti corruptive practices throughout the country. Music took a turn in the 1970s due to a number of reasons. A number of musical giants died in that period. Jaikishan died in 1971, Roshan died in 1969, SD Burman died in 1975.In that era arrived Gulzar with a treasure of offbeat films which were backed by classic literature and soft meaningful music. Gulzar had the background of composing quality lyrics for Bimal Ray at a time when he had not started his career in film direction (5). His song in the film “Mausam”, 1975, titled “Dil Dhoondhta Hai, phir wohi, phursat ke raat din”, composed by Madanmohan, brought the music lovers back to the cinema hall who got frustrated with the loud music that used to be composed in the commercial films at that time. The song was sung by Bhupinder Singh who was predominently eminent as a ghazal singer. The film was picturised in Darjeeling and Sanjeev Kumar recollected his past experience after returning from abroad. In the film “Gharonda”, 1977, Gulzar brought back the melody of the violin with the song “Ek Akela is shahar me, raatme aur dopeher me, abodana dhoondhta hai, ashiana dhoondhta hai”. The composer Jaidev, the winner of a number of national awards was a loner in his life, the song almost told his story through Amol Palekar with a tragic note. Bhupinder Singh performed the song with his intoxicating appeal. In the same film Jaidev used urbanised folk song in “do diwane shahar me” and “tumhe ho naho mujhko to itna yakeen hai” where Runa Laila accompanied Bhupinder Singh. The lyrics were written from the core of the heart by Gulzar (6). In the Film “ Kinara”,1977, Gulzar was successful to extract the best possible music from RD Burman. In the song “ Naam Gum Jayega, Chehera Yeh Badal Jayega, meri awaz hi pehchan hai, gar yaad rahe” he complimented the poetic excellence of urdu poets like Sahir Ludhianvi, Hasrat Jaipuri, Majrooh Sultanpuri, Kaifi Azmi, Shailendra, Shakeel Badayani and others. Lata Mangeshkar and Bhupinder Singh were at their best. In the song “ Ek hi Khwab kaibaar dekha hai maine”, sometimes the music stopped, there were dialogues and Bhupinder Singh’s voice almost brought life into the role of Dharmender who was killed in an accident by the car of Jeetender in that film. Lastly RD Burman used the Bengali classical song of SD Burman ( Madhu brindabone) to create “Mithe Bol bole” sung by Bhupinder Singh. In the film “Dooriya”, 1980, the song “ Zindagi, zindagi, mere ghar ana, ana zindagi” composed by Jaidev and picturised on Uttamkumar and Sharmila Tagore , the height of the location of the song and height of the composition matched each other. Both of them had differences in opinion which led to separation with their children and were united at the end of the film. Satyajit Ray’s Apu Trilogy( Pather Panchali in 1955, Aparajito in 1956 and Apur Sangsar in 1959, based on story of Bhibhutibhushan Bandopadhaya) talked about the journey of Apu from the village in India to the crude reality of urbanised life of Kolkata. His Film Jalsaghar( 1958) was based on Feudal system existing in Bengal where Chabi Biswas depicted the Feudal Lord in his majestic style. Ghatak’s film “ Meghe Dhaka Tara”, 1960, talked about the pains taken by victims of partition of Bengal during independence. Tapan Sinha’s “Louhakapat”,1959 talked about the experiences of a jailor in respect of the lives of different prisoners in his jail. 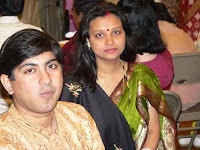 His film “Jatugriha”,1964, starring Uttamkumar talked about the complex life of a couple having no children in Kolkata. Rajen Tarpadar’s film “Ganga” ,1960, depicted the lives of fishing community of Bengal who sacrificed their lives in boats and travelled through Ganges to maintain their livelihood. Bimal Ray , the winner of a number of filmfare awards , made classic films like “ Devdas”,1955, written by Sarat Chandra Chatterji, “Madhumati” ,1958 and other notable films. My father Chitta Ranjan Chatterji, the then chief Public Prosecutor, Bankshall Court ( Chief Metropolitan magistrate’s court), Kolkata interviewed Sabitri Chatterji and Dilip Ray eminent actors of Bengali films, who said it was so difficult to make Hindi version of Bengali film “ Panditmoshai” written by Sarat Chandra Chatterji , and yet Gulzar had maintained the Bengali flavour while making Khushbu, 1975. Uttamkumar played a significant role to bring up his brother in-law Master Raju in the film “Kitaab”. Suchitra Sen played the role of Political leader in the film Aandhi almost personifying Indira Gandhi, the Indian PM in 1975. Thanks for the add at BlogCatolge. It's great to meet people from all over the world and since I'm from Norway, we live quite apart but also close in the blogsphere!